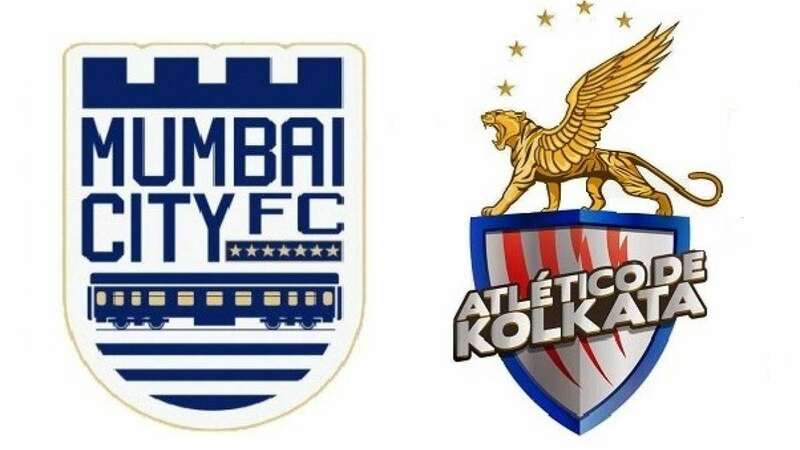 Kolkata : Atletico de Kolkata and Mumbai City FC will look for the crucial early advantage as they battle for a place in Hero Indian Super League final at Rabindra Sarobar Stadium, Kolkata, on Saturday. Past results and form will not count for anything as the two teams square up for first-leg semi-final battle but neither team will want to hand over the early advantage to the other team. Scoring first will be the key for the teams as in eight out of 14 matches when Mumbai have managed to score first, they have never lost, winning six of them. Similarly when Atletico de Kolkata have scored first, they have never lost. ATK have won just once when they have conceded the lead. “It’s one more match against Mumbai. We did a good job against them in the league matches and I have the confidence that my team can win. We have to do a great job in defence (to contain Mumbai strikers) but we also need to do a great job to score the goals,” said Atletico de Kolkata coach Jose Molina. Atletico de Kolkata’s form at home has been disappointing as they have won just one of their seven matches. Their eight draws in the league stage has also evoked criticism but Molina promised that his side will continue to play for a win, even when there is a final place at stake. “We never play for a draw. We play to win every match, always. We will try to win; if we cannot win, we will try to at least draw. We cannot afford to lose,” said the coach. Mumbai City ran away with the match when they played in Kolkata but Molina said previous results and form will count for nothing as the table toppers take on the fourth-placed team. “May be people think Mumbai are the favourites because they finished on top and we were fourth but that doesn’t matter,” said Molina. Mumbai City FC have been in top form during the league stage, finishing on top. There are many who feel the visitors have an advantage for the first semifinal but coach Alexandre Guimaraes looks at the clash differently. “This is our first time in semi-finals, Kolkata have played twice already. We are excited to play our first semifinal. We are willing to do well like we did during the whole tournament. We know we are going to play against a team that also plays very offensive, like we play, so it’s going to be a series that will be decided in Mumbai,” said the Costa Rican coach. Mumbai City FC have the best defensive record in the league conceding just eight goals and their attacking line-up can be the envy of almost any other side. Guimaraes is aware of his team’s strengths and believes their identity is what sets them apart. “We have the confidence that we have been very stable during the whole tournament. There is confidence that the players embrace one idea and play with these mentality in good and bad times. They always stick together to represent one way of play. Our confidence is based upon that; the team has an identity and we have to play to preserve that identity,” said Guimaraes.